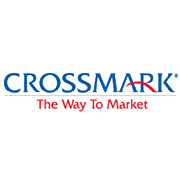 CROSSMARK Australia, a leading sales and marketing services company in the Consumer Goods (CG) industry, has selected to implement the AFS Retail Execution and AFS G2 solutions from AFS Technologies to further enhance the portfolio of business software solutions and services available to its client base. Leading retailers and CG brands partner with CROSSMARK Australia for its extensive range of retail expertise, merchandising strategies and sales services supported by state-of-the-art analytical and reporting technologies. With the integrated sales solution suite comprised of AFS Retail Execution and G2, CROSSMARK Australia will help its clients optimize field personnel to better execute, capture and analyze activities at the retail level. The software platform empowers the field team to gather critical insights and real-time information regarding out-of-stocks, price tickets and promotion compliance. The AFS technology suite is compatible with Apple® and Android® tablets, smartphones and laptops and operates both online and offline empowering field representatives to take orders and track any set of measures across any set of dimensions even if an Internet connection is not available. The Software-as-a-Service-based tools are scalable and rapidly deployed offering a low-risk investment on software and infrastructure. AFS Technologies, Inc. is the leading provider of business enterprise and on-demand software solutions designed to meet the unique requirements of the Consumer Packaged Goods, Food and Beverage, and Financial segments. With over 25 years of industry experience, the global company now serves over 1,500 customers in more than 40 countries with cutting edge technology designed to optimize the order-to-cash flow cycle and improve efficiencies across the entire supply chain. AFS solutions are utilized by manufacturers, distributors, broker/sales agencies, third party logistics providers and retail operators. These industry trading partners rely on AFS technology applications to automate business processes, optimize trade promotion management, reduce costs, increase sales and margin performance, support regulatory compliance, enhance field salesforce efficiencies, and drive collaborative commerce through data synchronization. All AFS solutions utilize service-oriented architecture (SOA) built with Microsoft .NET framework technology. AFS solutions interface with existing non-AFS systems and offer true deployment flexibility that allow customers to upgrade specific elements of the software without affecting the rest of the system. AFS products are also available as fully integrated end-to-end solutions or as individual modular applications. AFS offers customers true deployment flexibility through traditional licensing or subscription-based programs, from on-premise to on-demand solutions in the cloud. For additional information, please visit www.afsi.com or call (602) 522-8282.